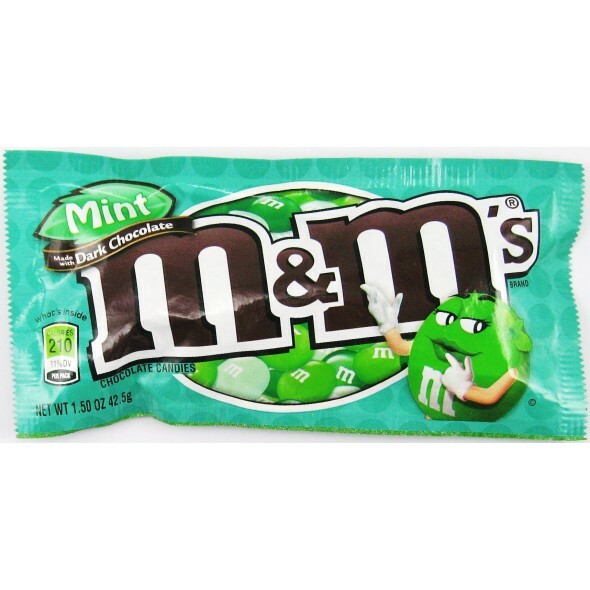 M&M's Mint - 43g bag of green hard candy sweets with mint flavour and dark chocolate centre. 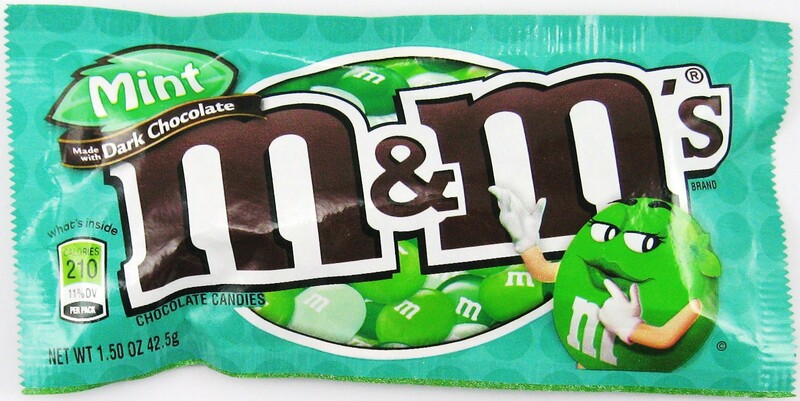 Ingredients: Milk chocolate (sugar, chocolate, skim milk, milk fat, lactose, cocoa butter, soy lecithin, salt, artificial flavours), semisweet chocolate (sugar, chocolate processed with alkali, cocoa butter, milk fat, soy lecithin, natural and artificial flavours), sugar cornstarch, less than 1% - corn syrup, dextrin, colouring (includes yellow 5 lake, blue 1 lake, yellow 5, blue 1, yellow 6, red 40, red 40 lake, blue 2 lake, yellow 6 lake, blue 2), gum acacia, natural flavours. Allergy information: MAY CONTAIN PEANUTS, ALMONDS AND WHEAT.